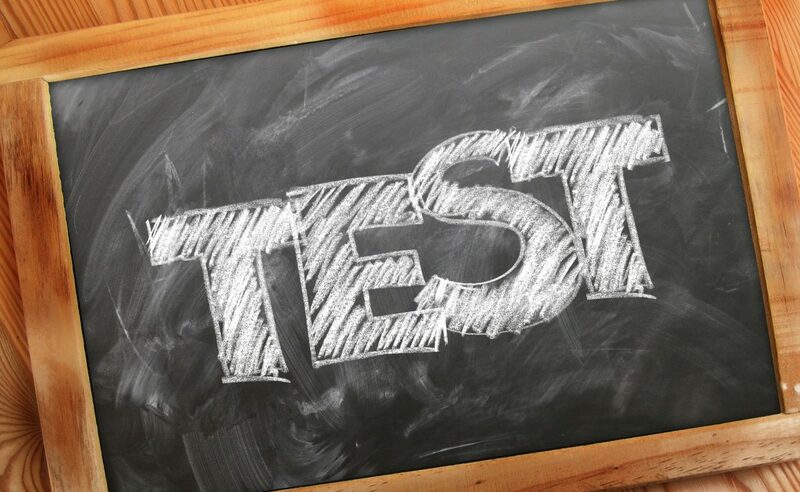 Homepage Apps Android OS Apps Modern Combat 4 vs GTA Vice City, what to play first! Modern Combat 4 vs GTA Vice City, what to play first! 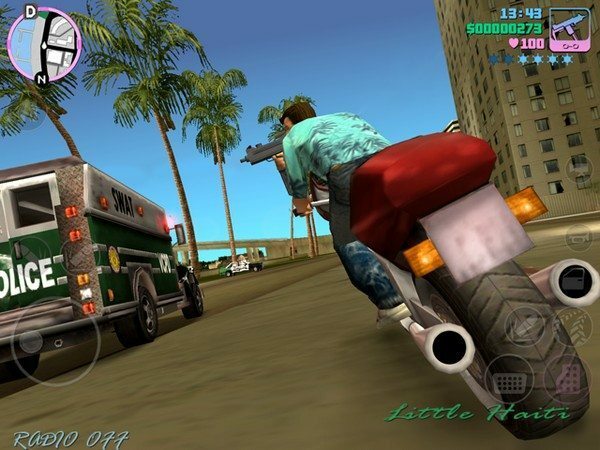 Those mobile gamers out there that are into such action games as Grand Theft Auto, you’ll no doubt know that in celebration of their tenth anniversary, Rockstar Games is bringing Grand Theft Auto: Vice City to both the Android and iOS platforms. The Game should become available to download to your device sometime on Thursday the 6th of this month. However gamers should also be aware that GTA: Vice City isn’t the only game becoming available as of the 6th. GTA Vice City for iOS and Android will cost the mobile gamer $4.99 on iTunes and Google Play, and is said to be compatible with almost all Android smartphones and tablets along with virtually all iOS devices including the iPhone 5. 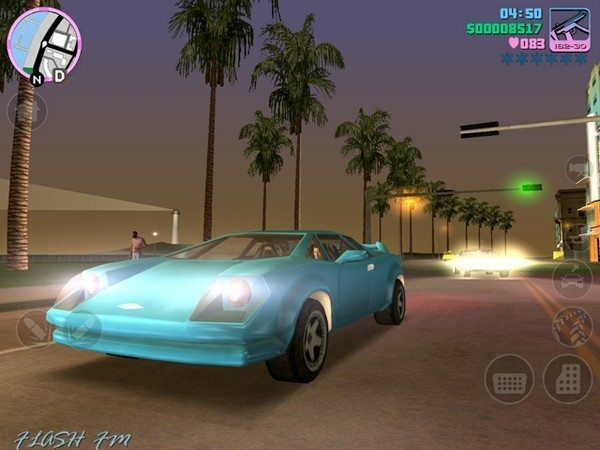 And today we are treated to some mobile screen shots of Grand Theft Auto: Vice City courtesy of Rockstar Games, which show off a few scenes from the mobile version of the game. 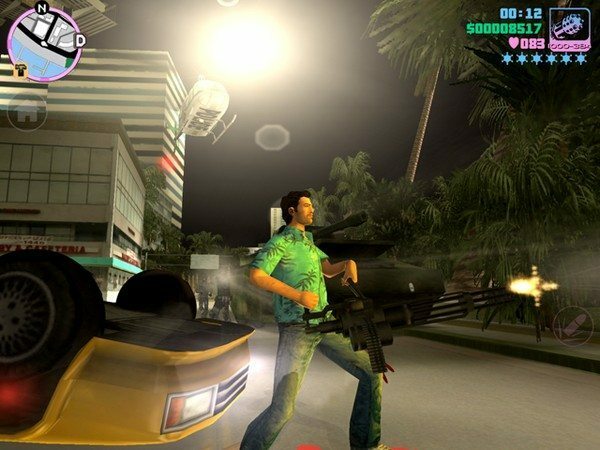 The 10th anniversary edition of GTA: Vice City will include such things as lighting effects, better targeting and firing options, and updated character models, whilst the screen shots will probably look quite familiar to those that have already played Vice City. However that other game, which should hit the iOS platform come Thursday, is Modern Combat 4: Zero Hour from Gameloft, who have let the mobile space know the game will arrive by using their official Twitter and Facebook accounts. Modern Combat 4: Zero Hour is of course the latest first person shooter in the series, and Gameloft put out an extended reveal trailer back in September, which you can view below, if you haven’t already seen the footage. 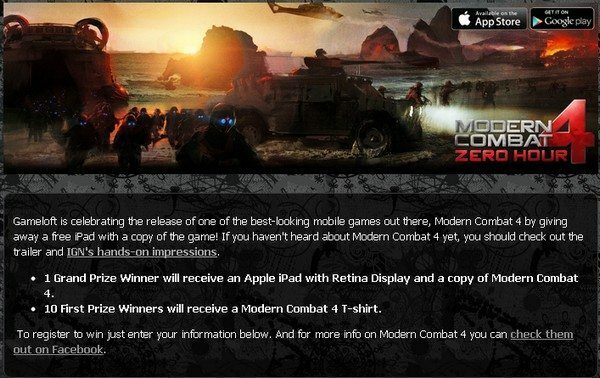 Whilst the Gameloft Facebook page is celebrating the release of Modern Combat 4 on iOS by giving away an Apple iPad along with a copy of the game, whilst ten first prize winners will get a Modern Combat 4 t-shirt, and to enter you just have to put in your details. And just so Android gamers don’t feel they have been left out when it comes to Modern Combat 4: Zero Hour, Gameloft has confirmed that the Android version of the game will be coming shortly after the iOS version. The mobile version of Modern Combat 4 is said to offer a completely redesigned multiplayer mode in order to make that experience the best as possible for a smartphone (video also below), and also offers new game modes for up to twelve player multiplayer and new visuals. Unfortunately though Gameloft is keeping how much the iOS version of Modern Combat 4: Zero Hour will cost the gamer to themselves at the moment. So the big question is, which of these two games will gamers want to play first? Obviously for the Android gamer the only option is GTA: Vice City, but for the iOS gamer they will have to make that choice. So will our iOS readers be opting to grab Grand Theft Auto: Vice City and play it first, or will you opt for Modern Combat 4: Zero Hour? I’m going to try Modern Combat 4 first because I have already played GTA Vice City just not on a tablet or smartphone. I like playing my games on my iPad with a Bluetooth speaker set up to provide a louder and more full audio experience. Both games are going to be fun to play with great graphics so gamers can’t go wrong. 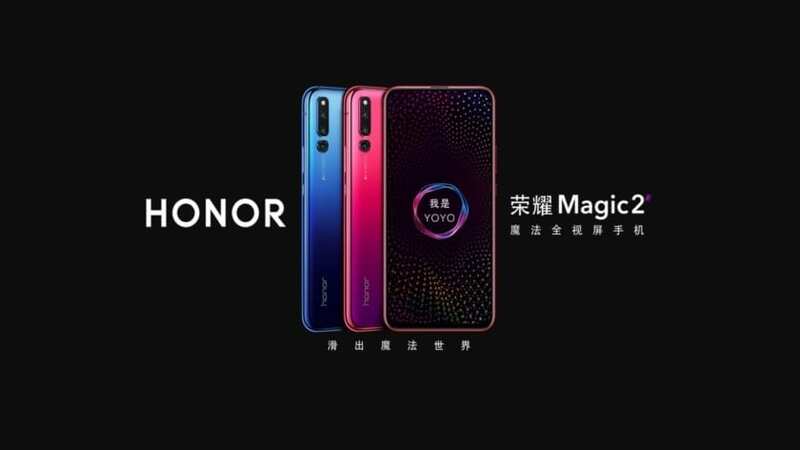 why isnt it coming for android too?